I grew up in United States Air Force base housing during the 1960’s and 1970’s. While my father was serving as a B-52 navigator and then as an aircraft maintenance squadron commander, the housing’s property maintenance was conducted by a group of federal employees known as “civil servants.” When maintenance was requested, they came and provided it. Many environmental and safety regulations began to be passed in the early 1970’s with the formation of the Environmental Protection Agency (EPA) and the Occupational Health and Safety Administration (OSHA). Originally, these regulations were not thought to be applicable on military bases and other federal facilities. It was only when Congress passed the Federal Facilities Act of 1992 was it made clear to all managers of federal facilities that they were subject to the same environmental regulations as all those present out in “civilian” life. Housing management was privatized by the Department of Defense (DOD) beginning in 1996 to increase the overall quality of the military housing throughout the various service branches (Army, Air Force, Navy, Marine Corps and Coast Guard). Private real estate firms began to take over housing management contracts awarded by the DOD that were 50 years in length. In many cases the “civil servants” were hired by these private firms due to their working knowledge of the construction and the maintenance requirements of the mechanical, electrical and plumbing installed in the various vintages of the housing, some of which dated back to the World War II era or before. Military personnel and their dependent families move in and out of their housing at a much higher frequency than their civilian counterparts due to frequent reassignments to both temporary and “permanent” duty stations with typical tours of duty lasting from 2 to 3 years. Given that history, and the current climate of social and traditional media, it is no surprise that the management firms currently operating military housing are facing unprecedented challenges associated with the management of both older housing containing regulated building materials such as asbestos and lead and newer housing with generally unregulated but challenging conditions such as water damage and potential mold growth. Congress has taken notice. The EI Group, Inc. (EI) is a specialized consulting firm that has been focused on providing environmental health and safety solutions for thirty years. EI is uniquely positioned to help military housing management firms address the environmental risk issues they are currently facing. 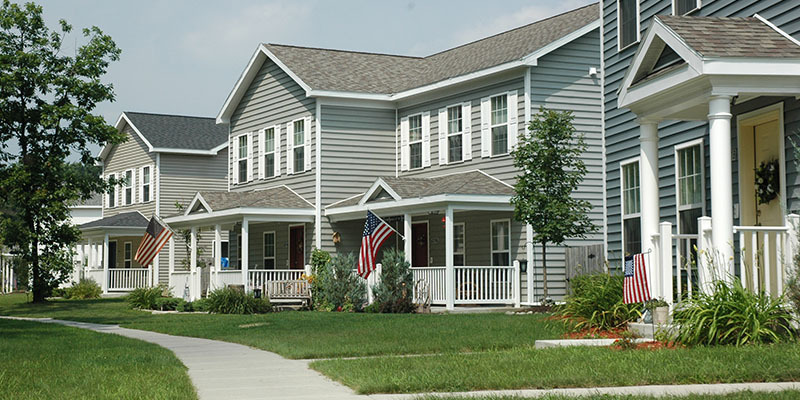 EI can greatly reduce the civil and regulatory risk faced by military housing managers by providing incident-specific guidance, testing, abatement procurement/oversight and ongoing training on the safe handling of these materials for both residents and maintenance associates. Contact me today at (864) 448-0170 or bhestir@ei1.com to learn more about managing environmental issues within military housing.